Proportional valve technology in process automation offers a great a deal of flexibility and produces high-quality control results. 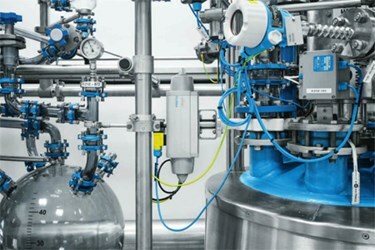 A complete system supplied by Festo and installed in Boehringer Ingelheim's new technical centre demonstrates the performance that modern pneumatics can deliver. The project was developed in close communication between the Festo team and automation experts from the pharmaceutical company, allowing it to move forward quickly.